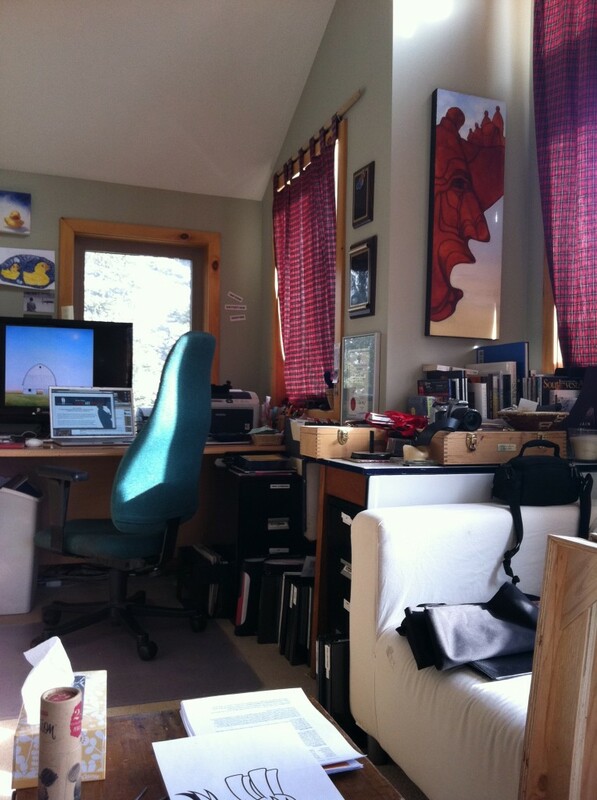 I’ve been busy “spring” cleaning…(for three months.) Actually, I’m doubtful that spring actually is coming to the mountains, this year. 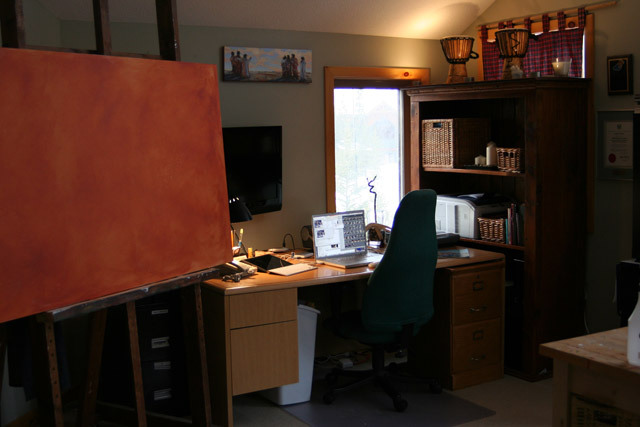 The first room in the house to be finished…is the studio! 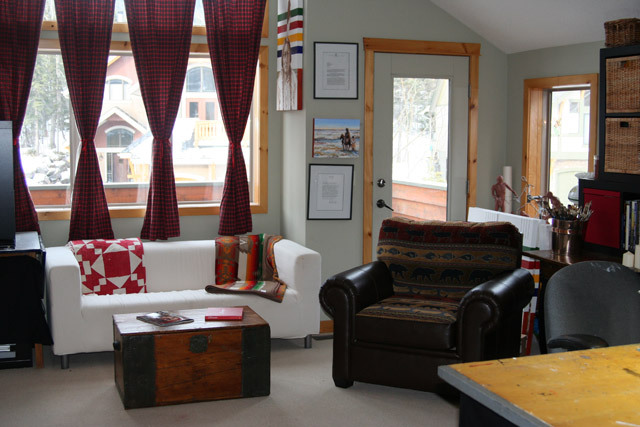 With a bit of elbow grease, help from the family, a new chair and two trips to IKEA, we were able to “containerize” and set up a space that serves as a multi-purpose area for creativity. 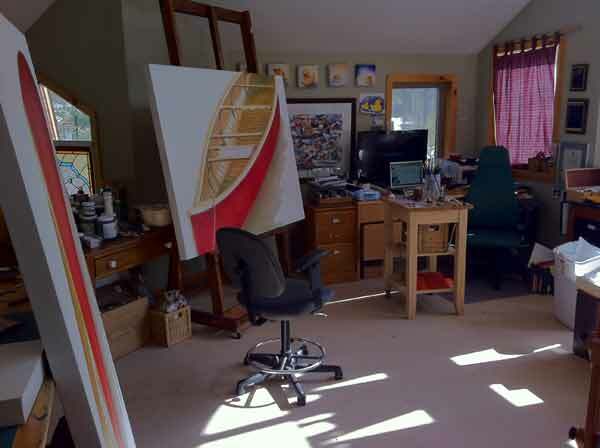 Here, I meet clients, paint, research, do my office work and film-editing. 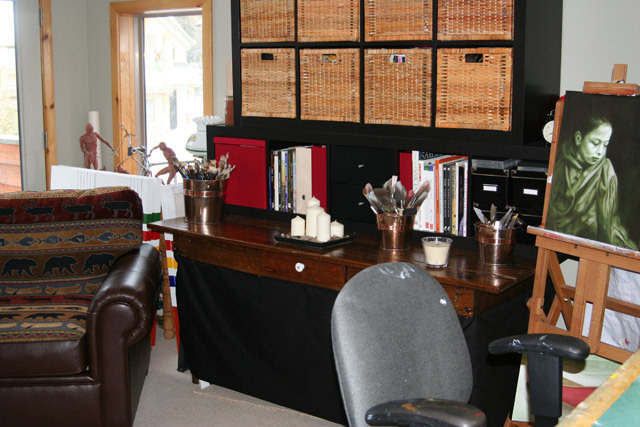 Total budget for the facelift, which included the new purchases of baskets, shelving, magazine and CD containers, candles, copper floral buckets (for brushes), material for skirting the tables and desks, and a lovely new reading chair? 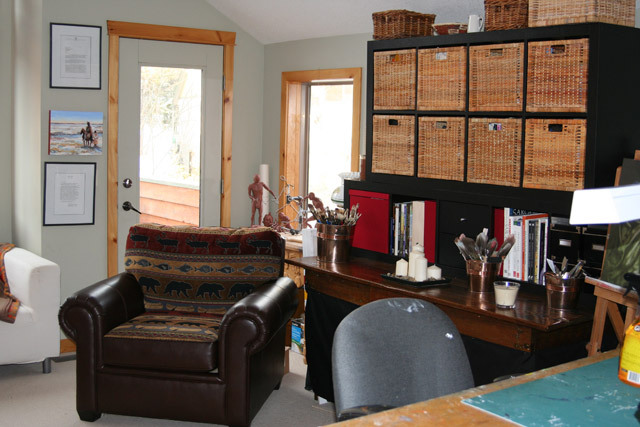 Loving my creative space with the family and FINDING stuff? New works are on their way. 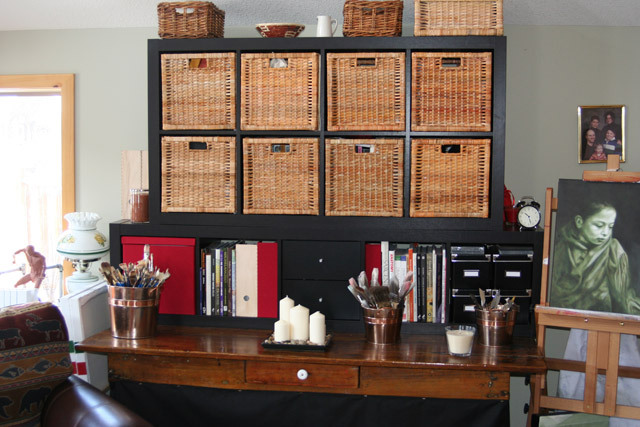 The storage shelving. Baskets were an excellent choice for me. 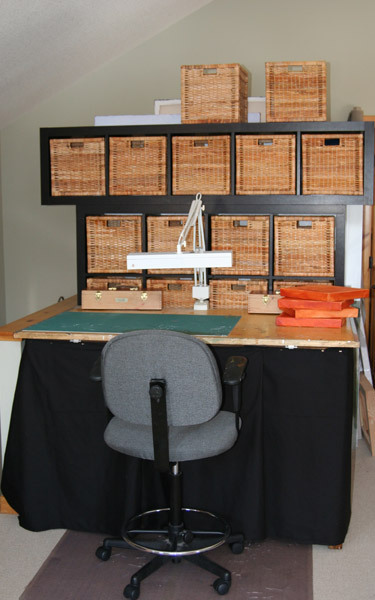 My drafting table and work area. 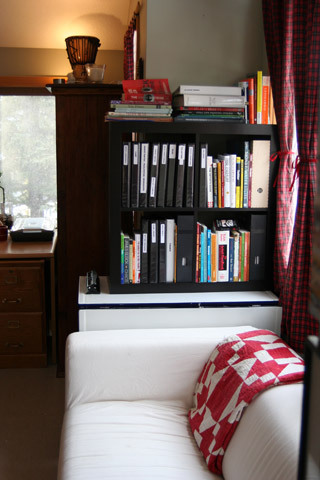 Shelving behind acts as storage and a screen for large canvasses that are in progress. 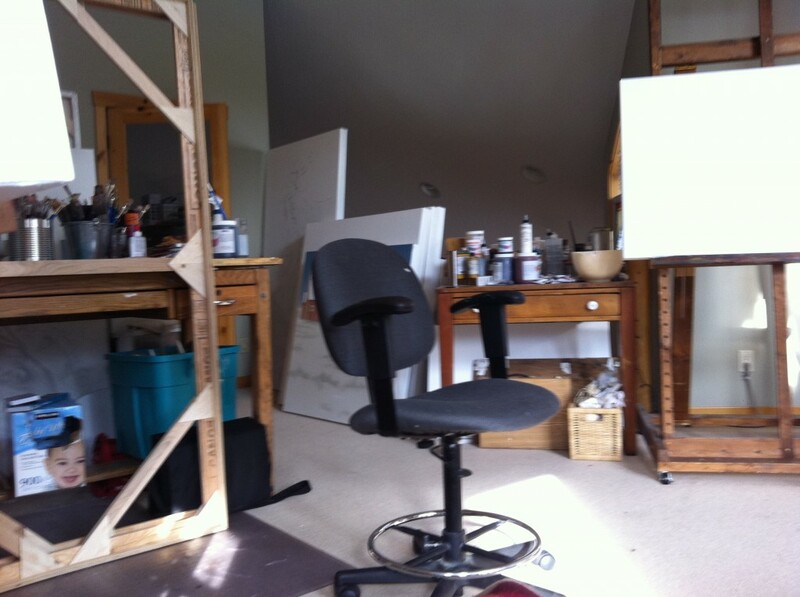 Meeting area in the studio. 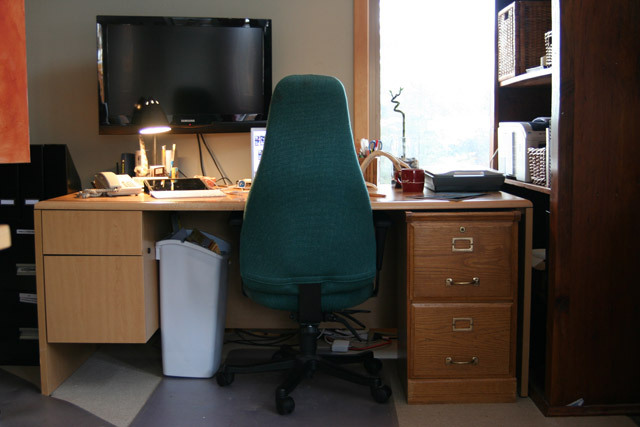 The office and film editing area of the studio. My desk area and my lucky bamboo. I can edit on my larger monitor, and also enjoy a mountain view through the window. 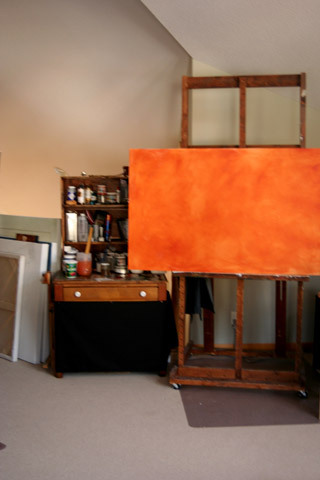 Easel and painting centre area. 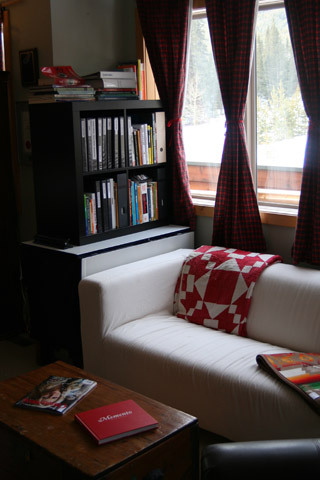 Another reading corner with business reference binders. 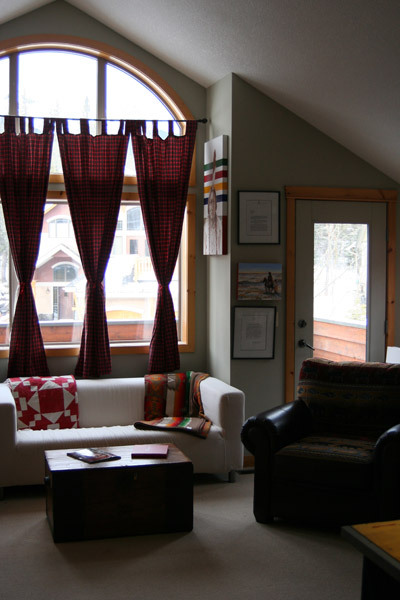 Another view of a reading corner. 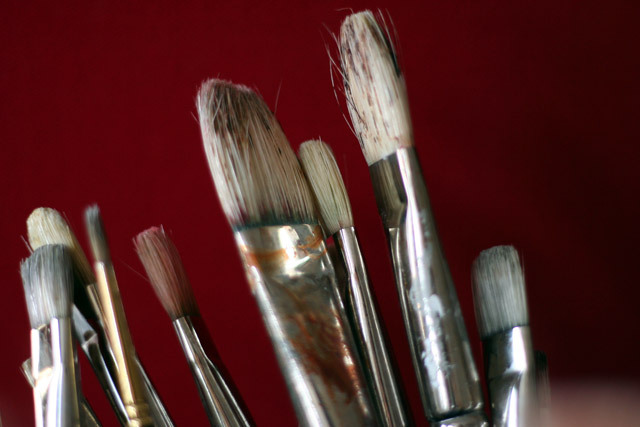 In case anyone needs a primer on how to get yourself organized as an artist, I heartily recommend Alyson Stanfield’s online course, “Getting Organized”. 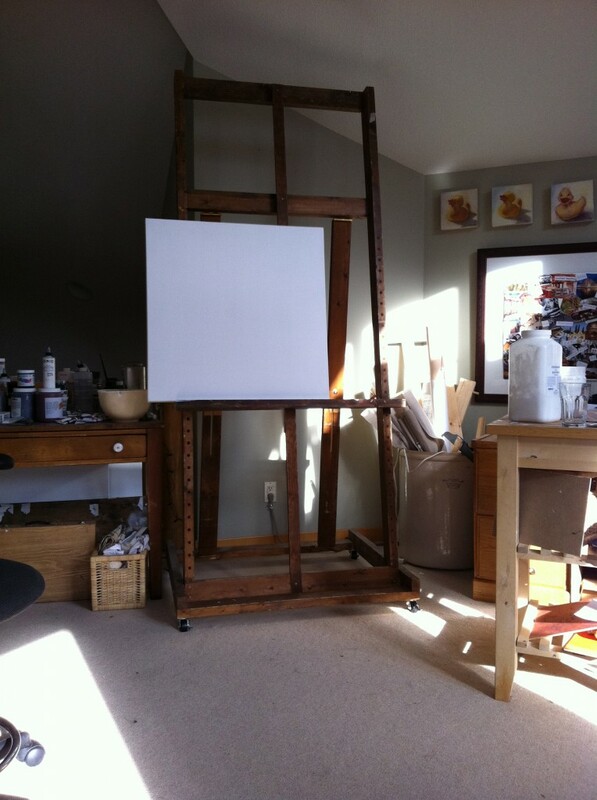 You can register and find out more about Alyson on her website at http://www.Artbizcoach.com. She’s a bit of FABULOUS! Janis, Janis, Janis ! Love what you did girl !! Wonderful!! I also see you paint natives? I painted a picture of sitting bull, and sold it ….regretted it and now have it back 🙂 I would love to add you to my facebook ! Regards, and happy painting !! Thanks Deb! It took awhile, and we’re still not done…but I guess that’s what makes it a work of art (in progress! ).